Karin joined Colonial in 2007 as the Customer Service Manager, after 16 years handling both personal and commercial claims with the largest independent agency in the northeast. She manages the Auto Claims Adjustment and Contents areas of the business, trains new staff and adjusters regarding company communication and technology, and assists in the supervision of the office support staff. She is a licensed Multi-Lines Adjuster in Maine, New Hampshire and Vermont, and is also a member of the National Association of Professional Women. Karin works directly with Colonial’s clients and vendors, assisting agents, companies and insureds with claims processing needs, and technology support. She ensures the company’s high standards of service are met as a liaison between client companies, agents, and adjusters. Because of her depth of experience in insurance adjusting and business operations, she is a mentor to new adjusters regarding company culture and operations procedures. Her expertise in multiple product areas and dedication to Colonial’s customer service standards, make her a key contributor on the Leadership Team, where she participates in all aspects of company planning, and advisor to the CEO and Vice President. 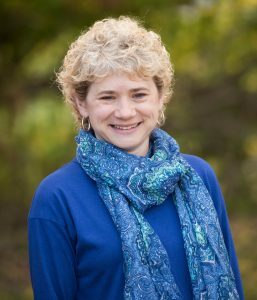 She is a busy mother of two daughters, and lives close to her family in Durham, Maine where she enjoys family activities, camping in the summertime around Maine, snowmobiling in the winter months, and relaxing with her daughters enjoying family movies and games.